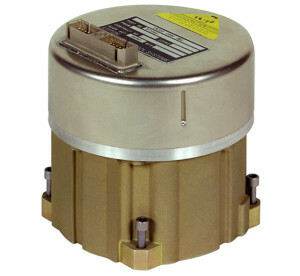 Northrop Grumman has delivered the 30,000th LN-200 Inertial Measurement Unit, a lightweight and highly reliable navigation aid that supports a broad range of applications. 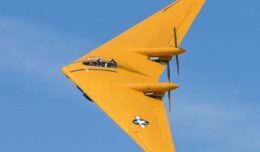 Northrop Grumman in Woodland Hills, Calif., has reached a significant milestone by delivering its 30,000th LN-200 Inertial Measurement Unit. Used for some of the most challenging applications on earth and beyond, the LN-200 is critical for image stabilization, antenna and instrument pointing, flight control rate sensing, attitude/heading referencing, airborne geo-mapping, and inertial navigation support. In high-rate production since 1994, the LN-200 has been delivered to more than 100 customers worldwide. It continues to be the preferred choice for high-performance tactical grade IMUs and has been used on a variety of platforms, including the Mars Rovers, commercial launch vehicles supporting the International Space Station, fighter aircraft, helicopters, unmanned aerial vehicles, missiles and multiple land-based commercial platforms, including oil and gas pipeline inspection equipment. Northrop Grumman’s LN-200 is a small, lightweight, highly reliable fiber-optic IMU. It features three fiber-optic gyros and three silicon micro-electromechanical system accelerometers in a compact package that measures velocity and angle changes. The LN200 is hermetically sealed and contains no moving parts, ensuring low noise, high reliability and extended shelf life. Additionally, the LN-200 is a versatile IMU that is offered in a variety of configurations and price points to meet diverse customer needs and operating requirements.